Imagine you’re driving your shiny new car too fast along a wet, curvy road. You turn a corner and realize you’re heading straight for a crowd of pedestrians. If you slam on your brakes, you’d probably skid and damage your car. So you keep your foot on the accelerator, heading straight for the crowd, knowing they’ll be killed and maimed, but if you keep driving fast enough no-one will be able to catch you and you might just get away scot-free. Of course, that’s monstrous behavior and I expect you’d never make that decision. But it’s a decision the developed world is collectively taking in the face of the global catastrophe that will arise from climate change. With daily headlines pivoting from the unparalleled flooding from Harvey in Houston to the devastation caused by Irma in Florida, it might seem like the United States has its hands full just dealing with our own climate emergencies. In the short term, that’s true. Harvey is estimated to have caused $180 billion of destruction, damaging some 200,000 homes, while Irma’s havoc is still being assessed. But meanwhile, multiply the damage from Harvey and Irma a hundredfold and you’ll get a feeling for the climate-related suffering taking place right now in the rest of the world. In India, Bangladesh, and Nepal, an estimated 40 million people have been affected by massive flooding, with over 1,200 deaths. More than one third of Bangladesh’s land mass has been submerged. As if that’s not enough, Africa has been suffering its own under-reported climate disasters, with hundreds of thousands affected by flooding in Nigeria, Niger, Congo, Sierra Leone, and Uganda. Although the regime in the White House is doing its best to ignore it, these global weather extremes are clearly exacerbated by climate change, and have been predicted by climate scientists for decades. What is so disturbing is that we’re experiencing this wave of disasters at a global temperature roughly 1°C above historic norms. It’s a virtual certainty that we’re going to hit 1.5° before long—perhaps in the next ten years—and unless we do something drastic to transform our fossil fuel-based society, we could be hitting 2°C as early as 2036. By the end of the century—when half the babies born this year should still be alive—conservative estimates have global temperatures hitting 3.3°C above baseline, based on the commitments that formed the 2015 Paris Agreement at COP21. And that’s not including potentially devastating feedback effects such as methane leaking from permafrost, which could lead to temperatures way higher, causing an earth that would literally be uninhabitable for humans in many regions. The likely effects on our civilization are dreadful to contemplate. Because most cities have grown up around oceans, half the world’s population currently lives within fifteen miles of the coast. The devastation we’ve been seeing from flooding and storm surges offers only a hint of the impending catastrophe. In the Global South, beleaguered by massive poverty and inadequate infrastructure, cities will be overwhelmed. Reduction in river flows and falling groundwater tables will lead to widespread shortages of potable water. Flooding and landslides will disrupt electricity, sanitation, and transportation systems, all of which will lead to rampant infectious disease. Meanwhile, even as these cities strain beyond breaking point, devastating droughts will cause agricultural systems to collapse, forcing millions of starving refugees into the cities from rural areas. Eventually, even the most strident climate denialists will have to adjust to the facts raining down from the sky. Even Rush Limbaugh was forced to evacuate his Palm Beach home after claiming Irma was a conspiracy. But when they do, you can guarantee their response will be parochial. Wealthier cities will begin massive investments in building barricades, improving infrastructure, even moving to higher land, to defend themselves against the climate cataclysm. That’s known in climate change circles as “adaptation.” In more rational parts of the rich world, cities such as London and Rotterdam are already doing it. However, effective adaptation isn’t an option for the megacities of the Global South, which are already floundering from inadequate resources, and where hundreds of millions are forced to subsist, undernourished and vulnerable, in shanty towns. A central part of the Paris Agreement, which Trump recently rejected, was a Green Climate Fund that is supposed to receive $100 billion annually by 2020 from developed countries to aid the rest of the world in mitigating and adapting to climate change. So far, only $10 billion has been pledged, $3 billion of which is the US portion that Trump has vowed not to increase. It’s hard to see even a small fraction of that $100 billion annual payment actually coming through. Yet it’s the developed world that created this climate mess in the first place. With just 15% of the world’s population, developed countries have been responsible for 58% of human-caused greenhouse gases. All that fossil fuel energy is what permitted them to industrialize and thus become “developed,” to the point that they’re now consuming 80% of the world’s resources, leaving the poorest three billion in the Global South to survive on less than $2 per day. That doesn’t leave much change for climate adaptation. That’s why the inadequate response of the rich world to climate disruption is like that driver choosing to plunge straight into the crowd rather than swerving and risk damaging their shiny new car. What would it take to put the brakes on in time to avoid climate catastrophe? There is hopeful news about the spectacular rise of renewables, surprising experts with the speed with which they are replacing fossil fuels around the world. But while that’s an essential part of a solution, modern renewables still account for just 10% of global energy production, which in turn contributes no more than 25% of total greenhouse emissions. Halting the slide to disaster requires something far more extensive: a complete transformation of our current economic system. After Pearl Harbor, when the United States faced an existential threat, President Roosevelt announced a military production plan to Congress and the American people that seemed unachievable. Yet, not only did the country meet those plans, it overshot them as a result of the wholesale transformation of society towards a single goal. This kind of mobilization is what would be required today to avoid the worst outcomes of climate change: a Climate Mobilization. In this case, though, it’s a different kind of mobilization that’s required. The threat we’re facing comes, not from enemies at war with us, but from the results of an economic system designed to exploit the earth and the most vulnerable humans living on it at an ever-increasing pace. As long as we measure ourselves and others by how much we consume, we’re complicit in fueling the global system that’s rapaciously devouring the earth. The good news is that there’s a short window of time when a fundamental shift in our economic, social, and political priorities could still prevent global catastrophe. Alternative economic models exist that offer ways to conduct commerce sustainably. Ultimately, a flourishing future requires moving away from the growth-based, consumption-obsessed values of global capitalism, and toward a quality-oriented approach that could allow all of us to live on the earth in dignity. It’s even possible to draw down much of the carbon that’s already been emitted—the potential is there but it requires a choice to be made: a shift in our society’s values toward caring for others alive right now, and for future generations. Will there be enough collective willpower to act and transform our society before it’s too late? That depends on the lessons learned from Harvey, Irma, and the climate disasters still to come. Suppose, as you’re racing toward that crowd in the road, that you managed to brake in time, get out of the car and join them. And then imagine your surprise when you discover the road you were speeding on came to an abrupt end around the next curve and was leading you directly off the precipice. Ultimately, the climate catastrophe we’re ignoring will become all humanity’s catastrophe unless we start acting on it now. 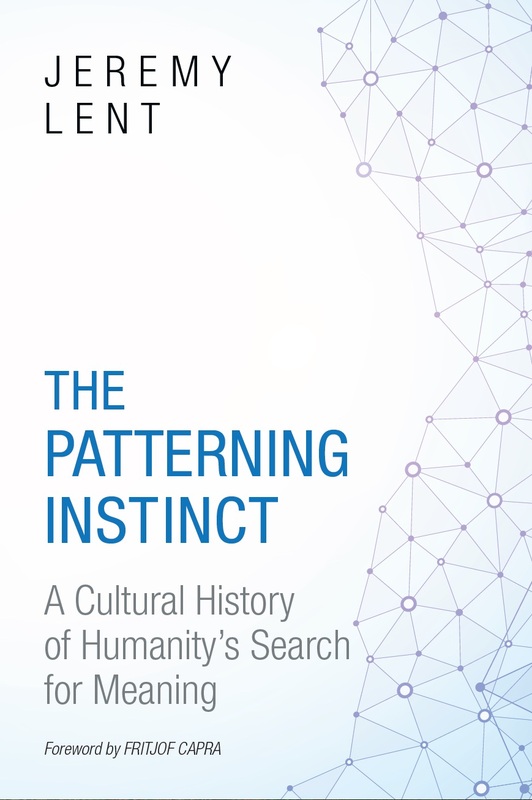 Jeremy Lent’s book, The Patterning Instinct: A Cultural History of Humanity’s Search for Meaning, investigates how different cultures have made sense of the universe and how their underlying values have changed the course of history. Posted on September 14, 2017 October 18, 2017 by JeremyPosted in Climate Change, Environment, Global Capitalism, PoliticsTagged Climate Change, Climate Mobilization, Global South, TechnoSplit. In the interests of doing what we can about limiting fossil fuel consumption, my spouse and I are both getting all-electric autos. However, I can’t help but wonder what are, if any, the potential negative environmental implications of doing so. I suspect there surely must be some trade-offs, though hopefully of the “lesser evils” sort. Any thoughts on this? Thanks, in the meantime, for putting our global crisis in such useful perspective. I think all-electric autos are great: even though there are trade-offs, the net environmental effect is very positive. However, just like changing our lightbulbs, it isn’t enough. We need structural change to go along with our personal actions, and we’ll only get that through participating in organized groups pressuring decision-makers at all levels. Following the Japanese invasion, the American people still trusted their President when he spoke of the clear and present danger posed by Japan, and the support for action from Congress was not undermined by the perception real or otherwise of vested interests and cronyism that presently destroys trust and credibility. Add to that the distortions created in the mind of the public that renders status quo as preferrable when the alternative is to embrace concern and responsibility progressively revealed towards the whole of humanity, an effort which requires the discomfort of change. The moral fabric of the country remains woven from threads of 100 years and more ago when national interest dominated the political landscape. 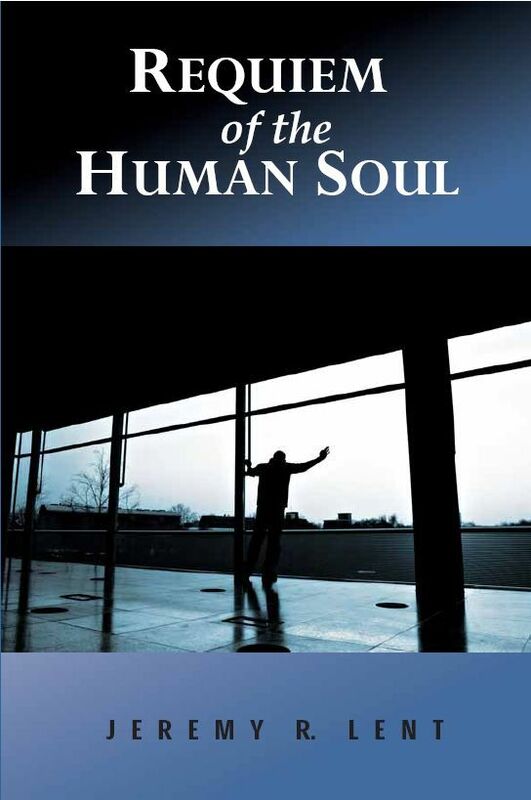 Whether change will come about willingly, or be propagated by events that will compel change is the choice that now stands before us all, and one that can only happen through the recognition and understanding that your article offers, together with a moral transformation that MUST embrace a global perspective and a commitment to serve humanity. Lester Brown, Worldwatch Institute, published on this MOBILIZATION in Plan B, Plan B 2.0, Plan B 3.0 years ago.